Effective higher education institutions (HEIs) are seen as an important building block in the development of a country. Unfortunately HEIs have come under increased pressure because of the worldwide trend of massification of higher education when at the same time students look for better quality education, while concurrently educational budgets are under pressure because of the economic crisis. This puts a great strain on HEIs who are forced to do more, of higher quality, in different ways, and with less resources. HEIs who manage to thrive in these challenging circumstances, by paying equal attention to increasing quality of both teaching and the internal organization, are known as high performing HEIs (HPHEIs). 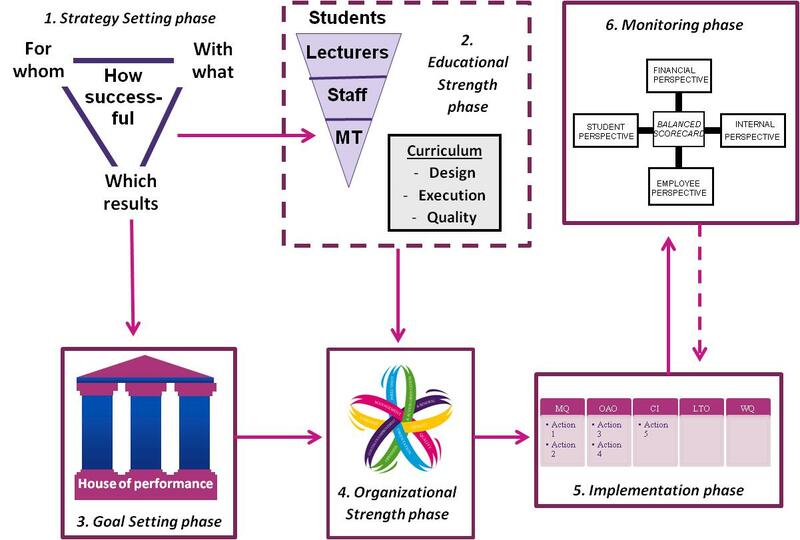 In this article an evidence-based management approach is applied for creating high performing higher education institutions (HPHEIs). Thus HEIs can, based on facts, make wellfounded decisions in regard to the way forward when transforming themselves into HPHEIS. the entire learning ecosystem needs to change in order to support alternative providers and the future of work. HEIs who manage to thrive in these changing environment and achieve sustainable high results will be known as High Performing Higher Education Institutions…. Read the full research paper ‘Developing an evidence-based management approach for creating high performing higher education institutions’ in PDF! Read all about our 2-day or 4-day workshops for Creating a High Performing Higher Education Institutions on this page!